Longer hair seems to be the goal for alot of us. To have longer hair you want to first focus on having healthy hair. Do healthy things to have healthy hair. 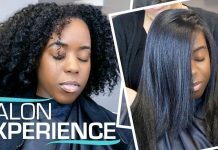 Sometimes we discover with healthy hair genetics could cause you to have a slower hair growth rate. 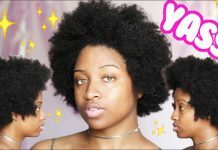 Well there are healthy methods you can do to help speed up your hair growth. Scalp massaging is one. Do You massage your scalp? Not only is it relaxing its stimulating which helps to speed up hair growth for some of us. 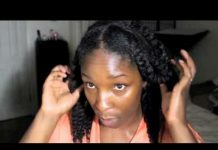 I show you in this video 3 easy ways to massage your scalp for faster, longer, fuller, thicker natural hair. Previous articleDesign Essentials Natural Instant Detangling Leave-In Conditioner for Healthy, Moisturized, Luminous Frizz-Free Hair-Almond & Avocado Collection, 8oz.